Shortly after Guitar Hero III: Legends of Rock, a brand new rhythm game franchise would come on the horizon. 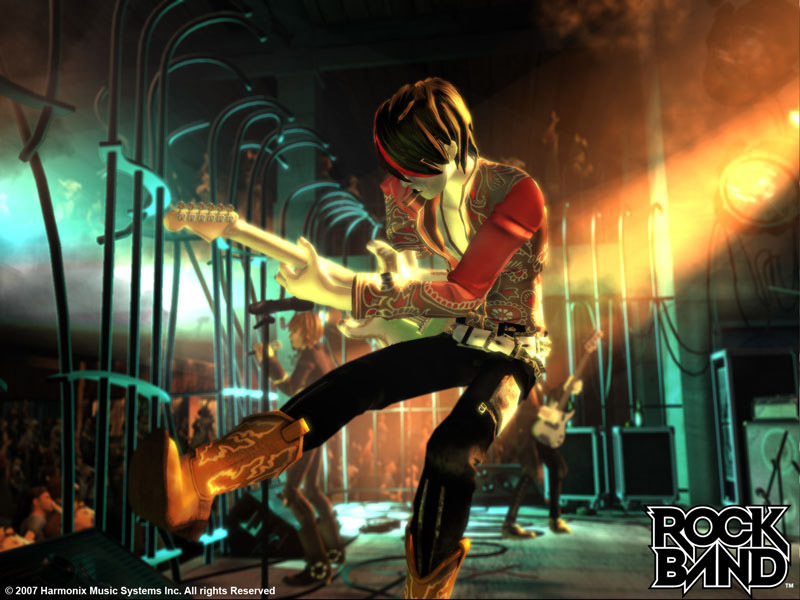 Once RedOctane was acquired by Activision Harmonix fulfilled their contract with Guitar Hero Encore: Rocks The 80’s and then proceeded to create a new franchise (with MTV Games) that expanded on the original Guitar Hero concept by adding the vocals mechanic from their previous Karaoke Revolution games, and a drum kit. With that in place, on November 20, 2007, the world would be introduced to Rock Band! The addition of vocals shaped the setlist tremendously. While Guitar Hero games placed more of an emphasis on guitar-centric songs, even if those were less known tracks from the band’s catalogue, Rock Band knew it was a party game and that in order for it to succeed, it needed to have the big hits. The setlist was decent sized with a total of 58 songs. While Guitar Hero III placed an emphasis on metal and difficulty, Rock Band placed an emphasis on party songs. Of the 58 song setlist, 29 are currently available in Rocksmith for a total of 50%., massively clearing the previous highest percentage of 38%. * Denotes a cover version of the track. In my opinion, the original Rock Band had one of the best setlists ever in a rhythm game. Narrowing it down to 10 songs I’d like to see was a nearly impossible task. But let’s give it a go anyway, shall we? Also, as a side note, if I’ve touched on a song in a previous Setlist Sunday, I’m not going to mention it here simply because it would be redundant. Assume that if I’ve mentioned something before, I still want it in Rocksmith! It’s no secret that @toymachinesh is a big NIN fan, but also acknowledges they aren’t the most guitar driven band… Unless they put in live cuts like this one. Either way any Nine Inch Nails would be appreciated folks. If you put this song in I will never complain about the Free Bird chart again. This song is full of tasty licks on Guitar and Bass, the whole end of the song is a big crescendo of awesomeness. Hopefully we can get some more RHCP eventually. If anyone can get more of The Stones, it’s Rocksmith. Sorely missing from The Who song pack. Hopefully this can be corrected in the future. There’s our picks, what songs would you like to see from Rock Band (2007) end up in Rocksmith 2014? Let us know! We need more southern rock. Flirting With Disaster and Green Grass and High Tides are some of the most useful songs to learn off of. And Welcome Home is definitely in my top 10 favorite songs, and I think it’s about time we get some more Sweet in the game. I feel like they’re an under appreciated band with a fun yet approachable discography from both sides of the spectrum. I don’t really remember any stand out tracks in Rock Band 2, aside from the ones that are already in the game *cough*Painkiller*cough* but maybe it’s just my memory. Dave Grohl Band 1 was surprisingly heavy on guest acts. Just a quick question, and maybe I missed it somewhere, but didn’t GH3 and Rock Band have DLC and were you planning on covering the DLC or just the main setlists? Orange Crush actually wasn’t a part of the R.E.M. pack, sadly. I hope we’ll get a second pack someday. I’d love to see Green Grass and High Tides and Won’t Get Fooled Again show up in Rocksmith too. So it wasn’t. Article is updated.